My mother was diagnosed with colon cancer at the age of 52. How it happened was puzzling to me. My mother was the perfect picture of health on the outside. Unfortunately, she died within 11 months at the age of 53. I went on a quest to find the holistic answers to my questions. I took classes and got certified as both a massage therapist and a lymphatic therapist. 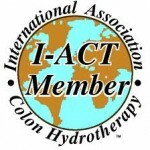 After experiencing my first colon hydrotherapy session, the results were amazing. My energy increased, I lost weight, and my thinking became much more focused. Shortly afterward, I became a certified colon hydrotherapist. Now, I have the privilege of helping and teaching my clients about the benefits of colon cleansing. My passion for sharing these unbelievable results is just the beginning, and I look forward to assisting you in your journey to being healthier.